The GBP/USD jumped from the lows after a report that the UK might stay in the Customs Union. Where next? The Technical Confluences Indicator shows that there is a good reason why the pair stalled around $1.3550. A congestion of significant resistance lines awaits at $1.3560: the Pivot Point one-day Resistance 2, the Fibonacci 38.2% and the one-day high converge there. 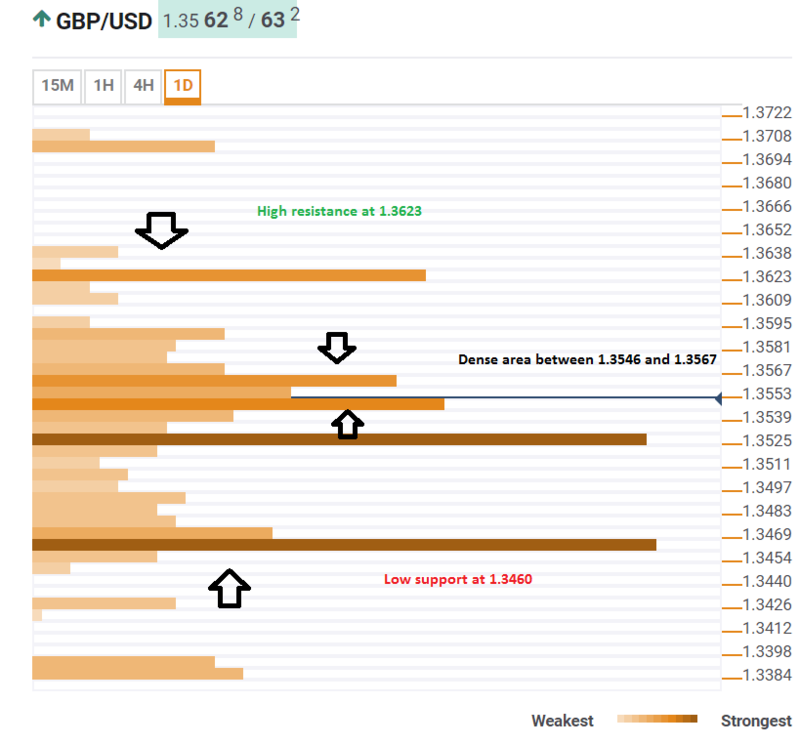 A bit lower, $1.3546 is the confluence of the Simple Moving Average 200-1h, the SMA 50-4h, the 4h-High, and the 1h low. In the broad scheme of things, high resistance awaits at $1.3623 which is the meeting point of the one-week high and the all-important Pivot Point one-week R1. On the downside, a dense cluster of potent support lines awaits at $1.3460: the one-day high, the one-month low, the one-week low, and the Bolinger Band one-hour Lower (Stdv. 2.2).